On the 90th birth anniversary of Mohammed Rafi, several Bollywood personalities, led by singing doyen Lata Mangeshkar, paid tribute to the legendary playback singer. Mangeshkar, 85, who has sung several hit duets with Rafi like Humko Tumse Ho Gaya Hai Pyar, Kitna Pyara Wada Hai, Chadti Jawani Meri Chaal Mastani, remembered the late singer. 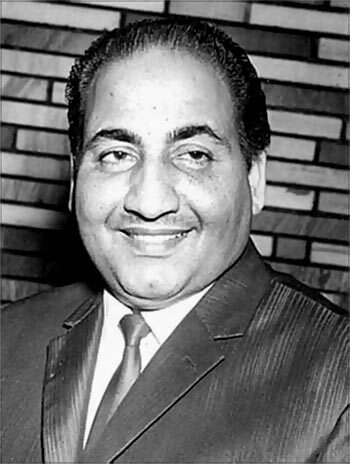 "Today is the 90th birth anniversary of famous and popular singer Mohammed Rafi. The work that he has done in his lifetime it will be loved by people for the thousands of years," Mangeshkar posted along with the link of her favourite Rafi song Dil Ka Bhanwar Kare Pukar. Ace Bollywood choreographer Saroj Khan tweeted, "On this pious day when a great legend took birth I remember you Mohd Rafi Sahab and two of my favourite songs- Mera Prem Devta and Nav Kalpana Nav Roop Se'. Happy Birthday." Rafi, born on December 24, 1924, is regarded as one of the greatest singers in the Hindi film music industry ever. The multiple award winner died at the young age of 56, but in a career spanning four decades he sang around 34,000 songs like Chaudhvin ka chand, Jo wada kia vo, and Kya hua tera wada. He sang in many languages, including Hindi, Konkani, Urdu, Bhojpuri, Punjabi, Bengali, Marathi, Sindhi, Kannada, Gujarati, Maghi, Mathili and Telugu. Rafi is best known for his romantic and duet songs. He could mould his voice according to the characters of the actor on the screen.